WSMR Digitizes 40 Years of Range Newspaper!! 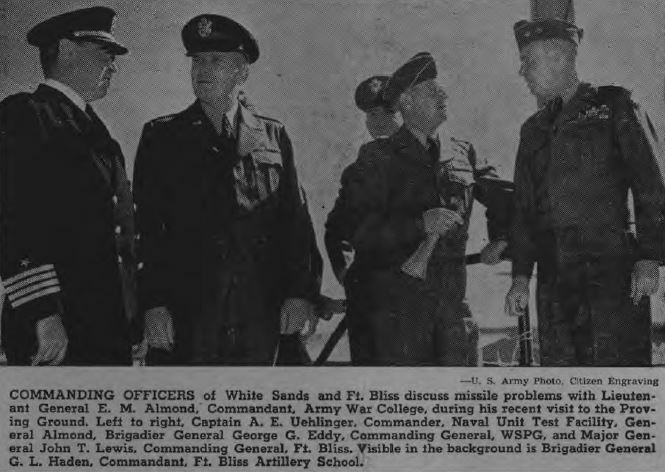 The online collection dates from the first ever issue of Wind and Sand from March 16, 1950 to the March 2, 1990 publication of the Missile Ranger. Hundreds of complete editions, previously in storage at the WSMR Public Affairs Office have been digitally scanned to offer a chronicle of WSMR's colorful and highly significant history to present and former WSMR employees, the public, and researchers. 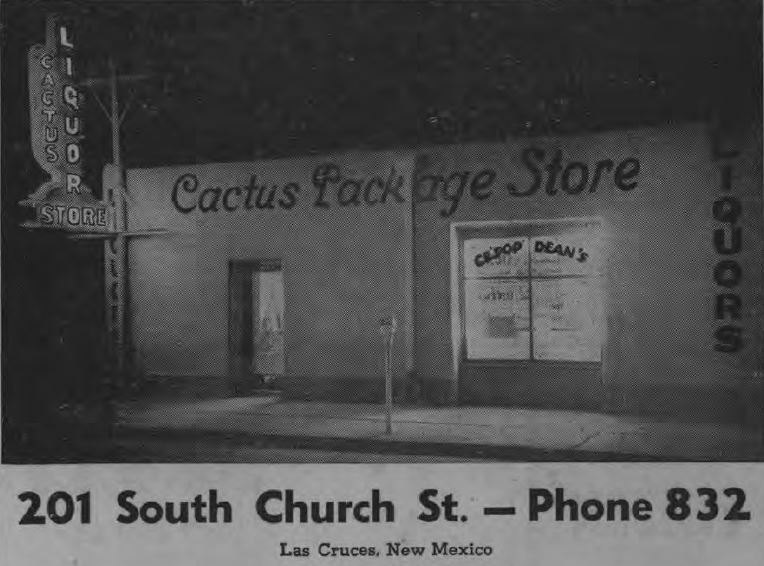 The WSMR historic newspaper archive brings much of WSMR's extraordinary past to your computer screen in high resolution, downloadable Adobe PDF format, including an easily searchable index of all available issues. 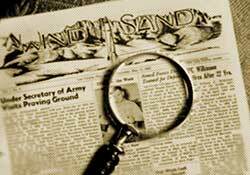 Individual issues are keyword searchable, a valuable tool for anyone seeking specific information on WSMR's compelling past. Originally published weekly, each edition provides unique insights into day-to-day Range activities, including social events, personal interest stories, and international, national, and local news stories. Front page coverage is devoted to reporting events such as the Soviet launch of Sputnik, President Kennedy's 1963 visit to WSMR or the 1979 flood at WSMR which tragically claimed the life of Private Martin Owen and the family he was trying to save. Ongoing efforts to document and archive WSMR history by the WSMR Museum and by the WSMR Historic Foundation have been tremendous. Theavailability of the digitized newspapers is an exceptional enhancement to these efforts. 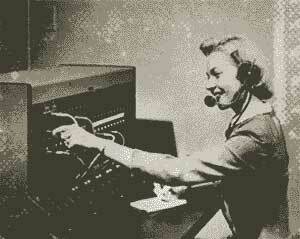 PLEASE see “Useful Links” above for additional WSMR historic documents being added regularly. 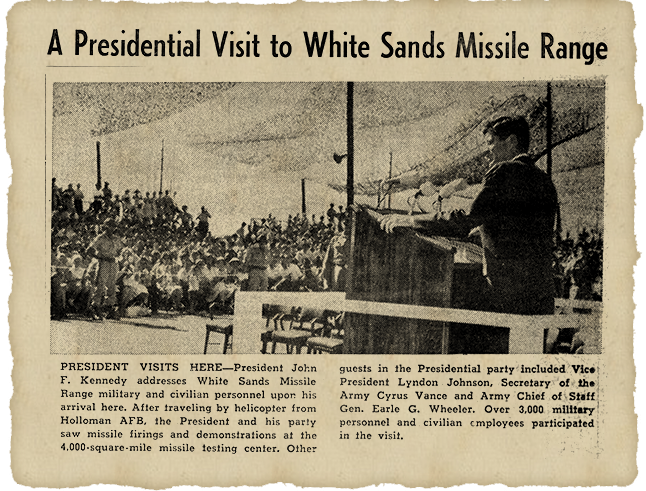 We invite you to take some time and enjoy the rich past of White Sands Missile Range found in this tremendous resource. In our effort to complete this inventory we noticed that many issues from varying years are missing from the collection. We have reached out to the WSMR community and a few issues have turned up – Thank you! If you have any old Wind and Sands or Missile Ranger issues we would greatly appreciate hearing from you. Click here to see a list of missing issues.